Summertime means more time spent outdoors. Whether you're firing up the grill, taking a dip in the pool or just enjoying the sun, listening to your favorite tunes (or the afternoon's baseball game) makes it that much richer. But the tinny sound from a smartphone speaker just won't do, and because your smartphone isn't very loud, your music won't go far. You have options. The easiest is a portable Bluetooth speaker that pairs with your smartphone, tablet or computer. 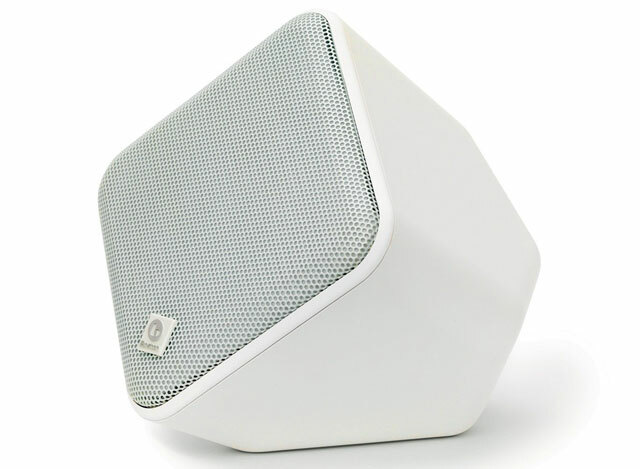 Wireless speakers are convenient and portable, making them a great choice for a camping trip or afternoon picnic. Waterproof and weatherproof speakers can handle playing out by the pool or at the beach. And while wireless speakers are designed to provide sound on the go, they're a solid option for home use, too. If you want a no-installation speaker to use anywhere you are, they're ideal, although their sound quality isn't the best, especially in large spaces. Still, with solid speakers starting around $100, wireless speakers can be budget-friendly options. The other option for outdoor listening is wired speakers, either stealthily hidden in the landscape or mounted on your patio. Though these require installation, they deliver the best sound quality and volume. Because installed speakers live outdoors year round, it's essential to pick a speaker designed for the outdoors. These speakers are built to handle outdoor conditions like heat and rain, while indoor speakers left outside will eventually fail in the elements. Installed speakers require a bit of extra equipment. You may also want an outdoor control panel so you aren't constantly running inside to adjust the volume. Your new speakers will need a wired connection to your A/V system in the house and power wherever you mount them. Not sure whether you have the DIY savvy to install your own speakers? It may be best to go with a professional installer to ensure it's done right. The price tag for all this is higher than that for wireless speakers. You can expect to spend several hundred on the speakers themselves and more if you need an A/V system or professional installation. No matter which option you choose, most urban areas have noise restrictions after certain hours. Place your speakers to direct the sound toward you rather than toward your neighbors — and even so, you'll likely need to limit volume late at night. Now let's dig into our top speaker picks to help you get started. If you want to take your music on the go, indoors or out, these speakers are our favorite options. 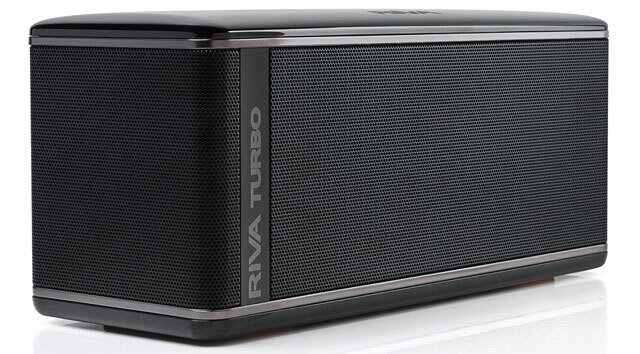 If you're looking for a powerful, high-end wireless sound system that can go wherever you do, the Riva Turbo X is your solution. The Riva's Trillium technology provides multidimensional surround sound that can play up to 100 dB, which is more than enough sound to fill most spaces. It connects wirelessly to your computer or mobile device via Bluetooth for a no-installation connection. The battery lasts 26 hours at 75 dB — longer if you play more quietly — and the unit has a USB port to charge your gadgets. At 3 pounds, this speaker is bulky. That's not a problem if you're using it for backyard barbecues, and so long as you don't mind the weight, it'll be a great beach companion too. Remember not to leave the Riva outdoors or by the pool; while it’s water-resistant, it isn’t waterproof, and it won’t hold up to the elements if left outside indefinitely. If you're looking for the ultimate in portability plus the ability to survive a dip in the pool, the UE Roll 2 is perfect. This disc-shaped Bluetooth speaker weighs in at just 10 ounces, making it lighter than a can of soda, but it still puts out solid sound. It's not as loud as the Riva, but you can stream to as many as three Rolls at once to boost the volume. Despite its petite size, it still provides an impressive nine hours of battery life. A bungie on the back lets you can hang or attach this speaker to anything, from your bike to your backpack. It's waterproof with a IPX7 rating, meaning it can be submerged in up to a meter of water for up to 30 minutes. It comes with its own pool floatie so you can let it lounge in the water with you. Best of all, the price is right: The UE Roll 2 comes in at just under $100. 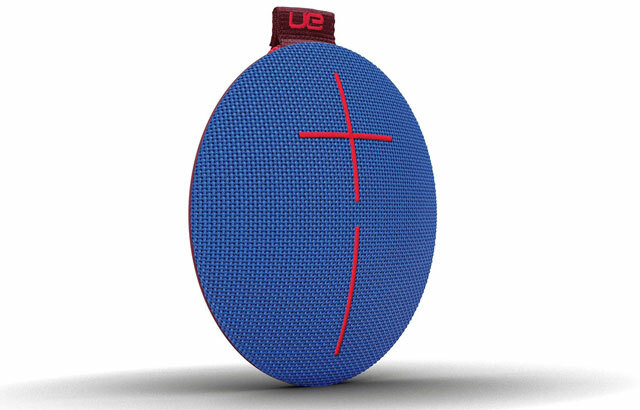 If you want to spend a little less, you can find the original UE Roll for around $70. It's also a solid speaker offering similar performance, but it can't match the Roll 2's volume, and you'll have to provide your own pool floatie. If you're going to do your listening in mostly one place — say, grilling on the patio or enjoying your back yard — you'll want to investigate the superior sound these installed speakers can provide. If you're interested in the best possible sound, you need to spend a bit more on speakers and installation. While brand and sound quality both play a big part in pricing, you're likely to find that the most expensive outdoor speakers are the ones that stay stealthily out of sight — and that's what puts the Bose Free Space at the top of the price list. However, what you're paying for is the best in outdoor sound quality. 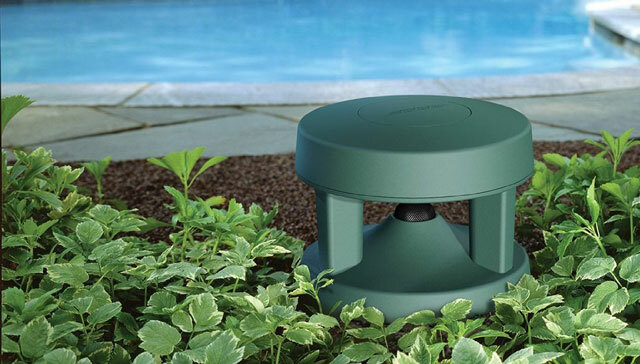 These in-ground or on-ground speakers are perfect for hiding in the yard or garden, where their dark green color easily blends into the surrounding landscape. Each speaker provides even, 360-degree sound coverage with rich sound at both high and low frequencies. 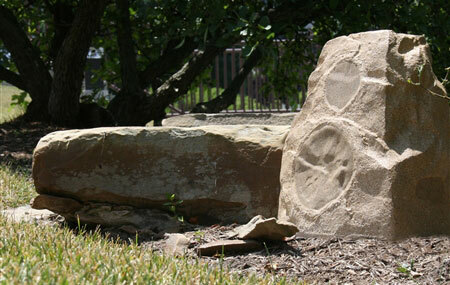 As you would expect from an outdoor speaker, these have no problem with wind, snow, rain or ice. They're backed by a five-year warranty. If the Bose Free Space 51 speakers fit in your budget, this is an investment the audiophile in you will appreciate. If you aren't a fan of the squat, round Bose speakers but want low-key speakers that blend into your environment, the Klipsch speakers may be just the ticket. Designed to look like rocks — buy them with a granite or sandstone finish — these weather and UV-resistant speakers offer high-quality wired sound without bulky mounted boxes. While $229 per speaker isn't cheap, dual tweeters and woofers inside the AWR-650-SM allow for stereo sound and plenty of volume with only one speaker. In an extremely large space, you may find you need a second speaker, but a single speaker will be sufficient for most uses, making these speakers a value compared to their Bose counterparts. Still, the biggest advantage of the Klipsch speakers is definitely their design, which gives you great sound quality without any obvious sound source. These petite speakers are just 4.5 inches square. With a single driver and tweeter in each speaker, they don't put out the biggest or best sound, but you get solid sound quality. The biggest win for these speakers is their versatility. They have more mounting options than any speakers on this list, so you can put them nearly anywhere you want. The unique mounting bracket lets you place them flush in a corner, flat on a wall or angled up to 30 or 45 degrees on any flat surface. They can also be painted, so you can match them to your current paint colors to completely blend in or contrast with your decor. The SoundWare speakers are sold individually, so if you want multiple speakers, you'll have to buy more than one. For buyers on a budget who don't need the portability Bluetooth offers or want louder sound than budget Bluetooth speakers offer, these Yamahas cover the bases. Their looks aren't particularly exciting, but these mountable speakers provide good sound clarity for anyone on a budget. They won't blend into the decor like the SoundWare speakers, vanish into the garden like the Klipsch speakers, or offer the sound quality of the Bose speakers, but they offer solid performance and clear sound for less money than anything else on this list. At $74.99 per pair, these speakers represent an affordable upgrade to your outdoor entertainment system — so why not? If you need more speakers to cover more area, you can buy them in a pack of four ($139.95) or six ($209.95) for even greater savings. 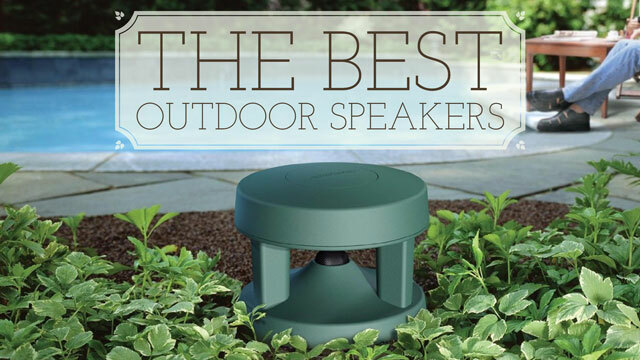 With the right outdoor speakers, you're set to enjoy the outdoors all summer long without forsaking the comforts of your sound system. Have you reviewed the Mighty Dwarf Bluetooth Speakers? 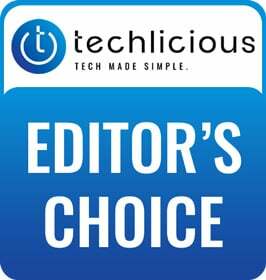 Fodor’s Travel, get lost Travel Magazine Australia, iPhone Life, AndroidSpin, rate the Mighty Dwarf Bluetooth speaker as a top travel pick. They turn objects that they sit on INTO the speaker. This makes the speakers both convenient for use in your own backyard but equally useful when you are on vacation or on the road. For the price and size the the Theater Solutions 2R4G delivers decent sound and durability, but in that price range, for rock speakers, I would rather go for the OSD Audio RX550 2-Way, which delivers fuller sound and clearer highs. When it comes to rock speakers the OS RX550 is definitely the better option if you compaer it with the Theater Solutions 2R4G, but overall I will always prefer to Bose. The TDK A33 is a great choice, and is currently the highest powered wireless outdoor speaker on the market for under $200. Though, there are better rock speakers on the market - particularly the Klipsch AWR-650, or the Niles RS6. A set of either will give you a far greater nominal operating power to cover more ground, not to mention they both have a lifetime warranty. Also, Klipsch arguably makes the best cabinet outdoor speakers on the market. The KHO-7’s and AW 650’s both have power metrics which no other products currently beat for the price. My dad just got a set of the Bose 251 speakers for his deck. He said the sound quality is far superior to his previous set of Yamahas and would highly recommend. Well worth the price. Though Bose does create great speakers and you can hardly compete with their reputation, Klipsch is the way to go in my book. Especially for outdoor speakers. The build quality of the Klipsch is what sets this apart from other brands. My Klipsch KHO-7 have been going strong for 2 years now! Of course I wouldn’t consider them that affordable but you could pay a lot more for inferior speakers. Has anyone had any experience with the Skullcandy Air Raid speaker I came across it here http://topspeakers.co.uk/skullcandy-air-raid-review.html but cant make up my mind. If someone can share their thoughts on this speaker or maybe recommend another Bluetooth speaker thats ideal for outdoor use it would be very helpful. Also I’m from the UK so it must be available here. For waterproof speakers, I liked the JBL Charge 3 a lot better than the UE. Louder, better bass and over twice the battery life. Folks, take it from an audiophile who has more money spent on HiFi gear than should be legal - all you’re really getting from any of these speakers is ‘BACKGROUND MUSIC’. These speakers aren’t meant for critical listening, so find a nice pair, or single speaker for that matter (once again you’re not tracking Jimi Hendrix’ back and forth between channels) and enjoy the music. 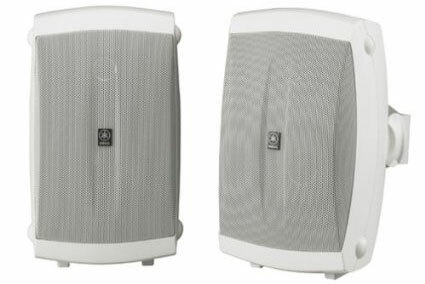 The build-quality of this Yamaha NS-AW150WH 2-Way Indoor/Outdoor Speakers is impressive; it’s rugged, solid, yet lightweight and very portable. Set-up was extremely easy and it connected quickly with my iPhone; I was streaming music to the speaker in less than two minutes.